Forget about Greece: What about the US, Japan, and the UK? Forget about Greece: What about the US, Japan, and the UK? Almost 75% of trading in the forex markets involves some combination of the US Dollar, Euro, Japanese Yen, and British Pound. This figure rises to more than 95% when you include trading in which at least one of the currencies (as opposed to both) is one of the aforementioned. In short, these four currencies are by far the most important in forex markets, and most patterns/narratives in forex markets tend to involve them. It’s simple supply and demand, really. These currencies are the most heavily traded because their economies are the largest and their capital markets are the deepest and most liquid. [The absence of the Chinese Yuan from this list can be explained by the lack of flexibility in its capital controls and exchange rate regime]. When investors flee one of these major currencies, they tend towards one of the others, and vice versa. This phenomenon has especial relevance in the realm of sovereign debt. While some investors would love no more than to move their capital from the four debt-ridden currencies above, there just isn’t enough supply of alternative currencies to absorb the outflow. The Swiss Franc, Australian Dollar, and Canadian Dollar (#5, 6, & 7 on the list of most traded currencies), for example, have all surged over the last year as investors have looked for stable and liquid alternatives to what can be dubbed the Big-4 currencies. While these currencies still have some room for appreciation, they can’t continue to rise forever. For better or worse, then, the most useful comparison when it comes to to sovereign debt is not between the Big-4 and everything else (aka the major currencies and the emerging market currencies), but rather between the Big-4 themselves. Forgive me for this long-winded introduction, but I think it’s important to understand the usefulness of comparing Japan with the US with the EU with the UK when all of these economies have terrible fiscal problems, and why we can’t just compare them to fiscally sound economies. With that being said, let the comparison commence! Most of the fallout from the sovereign debt crisis has affected the EU and the Euro. This is for good reason, since the focal point of the crisis is a member of the Euro (Greece), and several other Eurozone countries are on the periphery. I addressed the EU in a previous post (EU Debt Crisis: Perception is Reality), so I think it makes sense to focus on the others here. 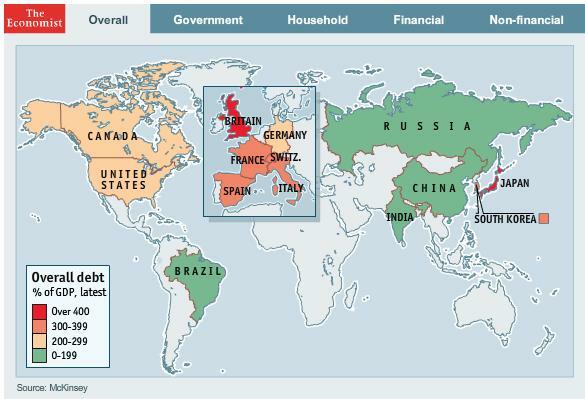 In terms of debt sustainability, the UK is not far behind Greece. “The flood of British debt is likely to ‘lead to inflationary conditions and a depreciating currency,’ lowering the return on bonds. ‘If that view becomes consensus, then at some point the UK may fail to attain escape velocity from its debt trap,’ ” explained one analyst. With high budget deficits projected for at least the next five years, the Bank of England no longer buying UK bonds, and the possibility that the ucoming elections could produce political stalemate, the fiscal position of the UK can only deteriorate. On the plus side, the average maturity for UK bonds is 13.7 years, twice the OECD average, which means that it could be more than a decade, before Britain really begins to feel the squeeze. Japan might not be so lucky. 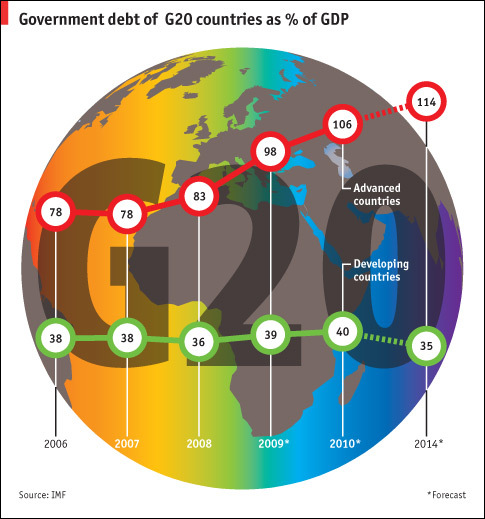 Its net debt already exceeds 100% of GDP and its gross debt is approximately 200% of GDP; both are the highest in the OECD. Meanwhile, the average maturity of its debt is only five years, so there isn’t a lot of time to act. According to analysts, the crisis would most likely assume the following form: “ ‘A surge in yields would lead to a combination of extreme fiscal contraction, through tax increases and welfare cuts’…as well as to even more monetary expansion, perhaps less central bank independence and ‘presumably a much weaker exchange rate.’ ” In the case of Japan, the mitigating factor is that 90% of government debt is held domestically. Therefore, Japan isn’t vulnerable to the whims of foreign creditors, and an outright default is unlikely. Then, there is the US. Its Trillion Dollar budget deficits, and multi-Trillion Dollar national debt and entitlement obligations are the highest in the world in nominal terms. On the other hand, the US government has not really encountered any difficulty in financing its spending. Political opposition is fierce, but investors have lined up to buy Treasury bonds and record low yields. This will likely change as the Fed curtails its purchases, and the economic recovery gives rise to higher interest rates. Analysts expect that borrowing costs (i.e. Treasury yields) could rise more than 1.5% by the end of 2010. From the standpoint of markets, its impossible to say which economy’s fiscal problems are the most serious, since sovereign debt yields have declined across-the-board over the last 20 years. One Professor of Finance explains this trend as follows: “Behavioral factors keep many bond traders and investors from recognizing the reality of the situation…since there is no well-defined crisis point.” In other words, the crisis in Greece is only a test run. The real one could come in a few years, and involve a much larger economy. At that point, currency traders will have to decide who to back. The semiannual meetings of the “G” countries – whether the G7, G8, G20, etc. – are always closely monitored by currency analysts. 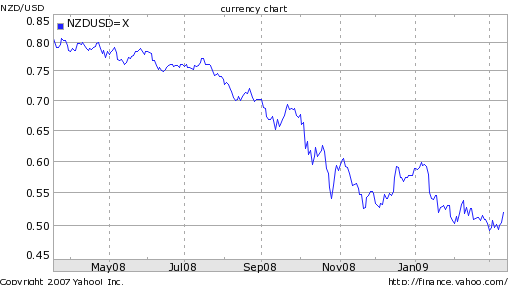 Especially close attention is paid to the official communique, which often includes an assessment of current exchange rates. However, the current meeting, which is being held in Instanbul, Turkey,may break from this tradition. It’s not clear exactly what motivated the (potential) decision not to release a communique, which has been an important policy tool for the last three decades. 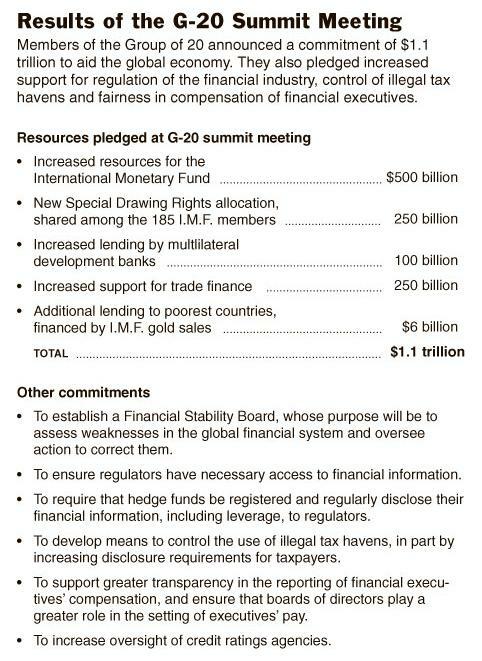 Perhaps, policymakers have realized that their are other, better forums to discuss currency issues, namely the G20, which met last week in Pittsburgh, USA. The timing of the decision is somewhat odd, given that exchange rate and other economic imbalances are proliferating. In fact, in press conferences held before and after the official G7 meetings, policymakers and Central Bankers have been forthcoming about such imbalances. Jim Flaherty, Finance Minister of Canada, sounded off on the RMB, which has stalled in its appreciation for over a year: “They (China) have a position that they are relaxing their currency, relaxing the restrictions on their currency gradually over time,” he said. Meanwhile, ECB Governor Jean-Claude Trichet voiced concerns about the Dollar, which has slide 15% against the Euro so far this year. Ironically given the G7’s refusal to act, there is actually a strong conensus that the Dollar’s slide is generally bad for the global economy, especially in the context of the nascent recovery. A cheaper Dollar not only affects the export competitiveness of countries in Asia, but is also partially responsible for surging commodity prices. There is also a general belief that volatile (perhaps unstable is a better word) exchange rates are not conducive to economic and financial stability. At this point, it doesn’t seem likely that either the G7 or the G20 will take the extreme step of intervening on behalf of the Dollar, which remains well below the record lows of 2008. 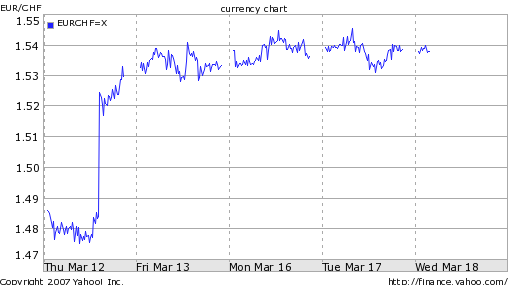 If the Buck continues to slide, however, especially to the point where its role as global reserve currency is in jeopardy…well…that is a different story, and fodder for next year’s meetings, which will be held in Canada. Then again, it may be taken up by the G4, a still-hypothetical group which would consist of the US, China, Japan, and a representative from the EU. It is alos the intended subject of my next post…stay tuned! Forex Volume is Down – What are the Implications? The report was based on a survey of the world’s six largest forex trading hubs – US, UK, Japan, Canada, Singapore, and Australia – and produced a few interesting revelations. The first is that forex volume peaked well after other capital markets. This can probably be attributed to the notion that there is never a bear market in forex. In other words, after stocks and bonds began to collapse in the summer of 2008, investors embarked on a mission, unprecedented in its speed, to move capital from risky countries to safe-haven countries. This switch, by definition, required the forex markets to facilitate. The final revelation is that the change in forex volume was not always commensurate with changes in trade volume. A general relationship between trade and forex turnover has been observed, although speculators ensure that currency is exchanged much more frequently than actual goods and services. 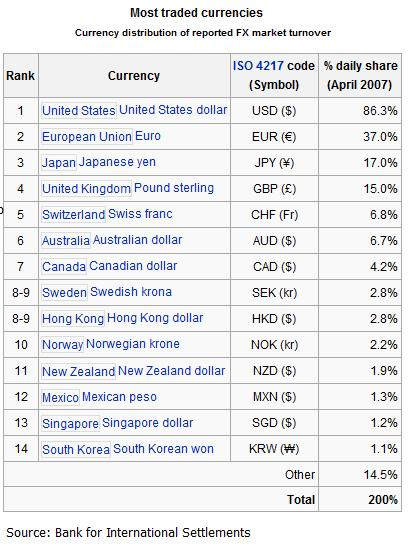 The two currency pairs registering the greatest unbalance are the CHF/USD and CAD/USD. Forex volume for the former fell much more sharply than trade, while the opposite is true of the latter. One can only speculate as to why this is the case. As for the CHF/USD, forex volume probably suffered disproportionately more because both the Swiss Franc and US Dollar were perceived as safe haven currencies, in which case it would be relatively less useful to exchange them for each other. In the case of the CAD/USD, meanwhile, it makes sense to view the imbalance in terms of the spectacular decline in trade, which was largely a product of declining commodity prices. It’s impossible to predict whether forex volume will remain depressed. Given the efforts underway to increase regulation and curtail leverage, I don’t personally expect volume to recover for a while. As for the implications, the less might be to stick to the majors. If volume is declining, it will probably affect emerging market currencies most. Lower liquidity might translate into higher volatility. 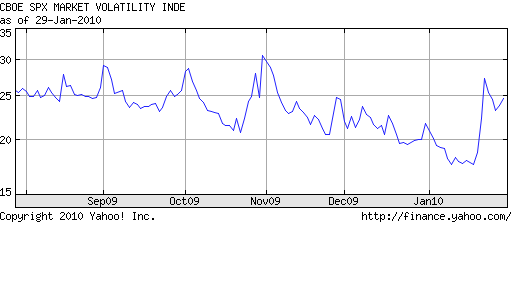 However, it’s worth pointing out that volatility has been declining ever since it skyrocketed after the collapse of Lehman Brothers last fall. In that case, it might be that investors are behaving more prudently with less funds to trade with. Sure enough, both the Chairman of the SNB as well as a board member both announced yesterday that the campaign to hold down the the Franc is still in effect, and will soon enter a new phase. Thus far, the Bank has relied on various forms of quantitative easing to deflate its currency, both through direct currency transactions and purchases of bonds. The goal of such quantitative easing is only proximately to deflate the Franc; the ultimate goal is to ward off deflation. Given that the Bank had already lowered its benchmark interest rate close to zero, manipulating its currency was/is one of its few remaining options. “As long as the environment does not improve and as long as deflation risks are visible in our monetary policy concept, we will stick to this insurance strategy resolutely,” said Chairman Jean-Pierre Roth. Based on the title, you’re probably groaning: ‘Wait, I thought this was supposed to be a forex blog?” Bear with me, however, as this subject is extremely pertinent to forex. Last week, it was revealed that China has been clandestinely adding to its gold reserves since 2003, to the extent that its holdings increased by 76%, to approximately 1,050 tons. The news initially sent a ripple through forex and commodities markets, which were overwhelmed by the figures involved. After analysts had a chance to gather some perspective, however, the markets relaxed. You see, although the increase seems tremendous in size, it is quite small in relative terms. 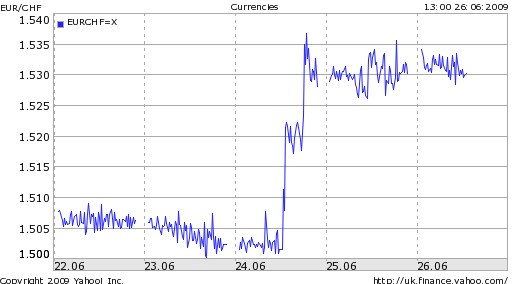 The very next day, the SNB followed its widely anticipated rate cut by announcing that it would indeed intervene in forex markets, “implementing” a decision to buy foreign currencies. 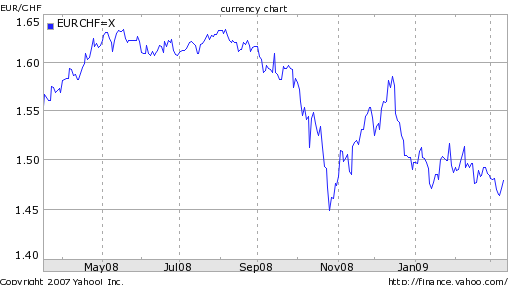 The Swiss Franc immediately fell into a tailspin, falling 7 units against the Euro, and more than 3 against the Dollar. According to one trader, “the way this was communicated was intended at maximizing its shock value.” By the end of the week, the Franc had posted a record decline, as investors remained alert to the possibility of further invention. This is the first ‘solo’ intervention since 1992 by the SNB, which has “followed a noninterventionist policy when it came to its currency, occasionally hinting at interventions but never following it up. It remained on the sidelines in September 2001 when the euro traded even lower than its present rate, at 1.44 Swiss francs.” It is also the first intervention by any Central Bank since 2003, when Japan intervened unsuccessfully to try to halt the rise of the Yen. Evidently, the SNB felt justified in its decision not only because of a deteriorating economy, but more importantly because of monetary conditions. Inflation is now projected to dissappear by 2010, and may even “slow to the point where prices broadly fall.” Traders also speculated that the move was designed to relieve downward pressure on Eastern European economies, whose economic woes are being compounded by the fact that much of their debt is denominated in Swiss Francs. 2007 was the year of the carry trade. 2008 was the year of the safe haven trade. 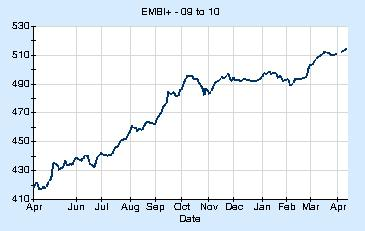 2009, meanwhile, is shaping up to be the year of the deflation trade. In other words, traders have completed an about-face in their collective approach to forex, such that those currencies with the lowest rates are now favored, because they are perceived to best hedge against deflation. The New Zealand Dollar illustrates this trend perfectly. For most of 2008, it collapsed as investors pulled money from risky, high-yielding currencies, in favor of a capital preservation strategy: accepting limited or zero return in exchange for security. Beginning at the tail-end of last year, however, it stabilized around the psychological level of .5 USD/NZD, failing to breach the important technical level of .4915. While such technical factors undoubtedly have played a role in the reversal of fortune, the NZD has benefited by the aggressive interest rate cuts effected by the Bank of New Zealand, which today cut its benchmark rate yet again by 50 basis points, to 3%. While it’s too early to speculate whether the Central Bank will cut rates again at its next meeting, all signs point to further cuts. 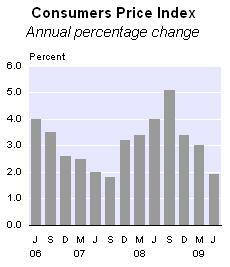 The economy is in a paltry state, having contracted for five consecutive quarters. Chinese demand for commodities is abating quickly, and the most recent numbers suggest it will continue to erode. Most of the “safe haven” talk in forex circles has focused on Japan and the US. Switzerland, meanwhile, has also attracted is fair share of risk-averse investors, who are piling into Franc-denominated assets, despite the deteriorating Swiss economic situation. In fact, February witnessed an inflow of $4 Billion, most of which was targeted towards gold and money-market funds. The Swiss Franc, as a result, has appreciated by 9% (on a trade-weighted basis), since the summer. The Swiss National Bank (SNB), meanwhile, has cut interest rates by 225 basis points over the last six months. If it delivers on a unanimously-anticipated 25 basis point cut at its meeting tomorrow, its benchmark lending rate will stand at a paltry .25%. To the frustration of the SNB, the “deflation trade” is still in vogue, as traders have counter-intuitively taken to betting on the countries and currencies that offer the lowest interest rates. From an economic standpoint, this trend is eroding the effectiveness of an easy monetary policy, such that the SNB has been forced to consider less conventional approaches. This would probably take the form of quantitative easing, in the same vein as that which the US and UK are currently pursuing. Under such a policy, the SNB would buy credit instruments on the open market, and pay for them by printing money. This would have the dual effect of devaluing the Franc and easing liquidity problems in Swiss securities markets. While normally a country in Switzerland’s position (especially one whose banks have recently come under fire for secret bank accounts would take flak for such a policy, Swiss (economic) neutrality largely eliminates this burden. Another alternative, which has been proposed by the heir-apparent for SNB chief, is to create a ceiling on the value of the Franc. If it [the Euro] also joins the zero interest band-wagon then one may wonder what’s left for the currency markets to play with? Is this is a precursor to a crisis brewing here? Does gold get a further leg up – it’s a zero yield currency anyway! Read More: The Currency Conundrum: Is It Another Leg Up for Gold? Board members decided to leave the rate at 7.25 percent because of "the substantial tightening" in financial conditions since mid-2007 and "uncertainty surrounding" the outlook for economic growth and inflation. Parity was never a "ridiculous suggestion." "But it’s probably a bit tougher going because the Australian economy is slowing," says one analyst. "Then again, if you saw a reacceleration in growth, that might be a different story." 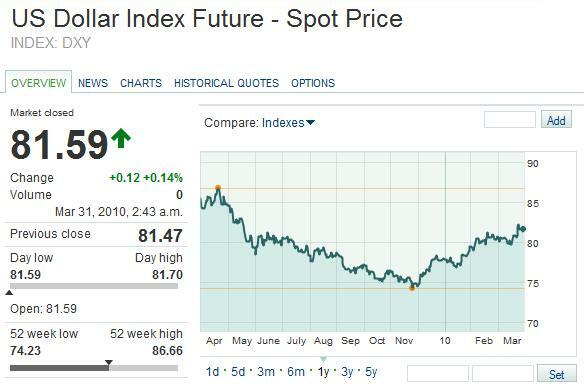 "A lot of bad news is already priced into the dollar. It’s elsewhere that the shocks could come from, perhaps from the European Central Bank, or the Bank of England." Read More: 2008 – the return of the dollar? Another trader with a multinational bank said with carry trades now coming under heavy pressure and banks being reluctant to fund investors entering into such trades, risk aversion seems to be taking over the global currency markets. The [Australian] dollar’s trade-weighted value rose by 20 per cent between late 2002 and early 2004 but was much slower to respond in the 1970s boom, when the exchange rate was set by government. Instability on global financial markets between now and the next Reserve Bank board meeting on Melbourne Cup day is seen by economists as the only force that could stay the bank’s hand from raising rates to the highest level in a decade. "The panic is almost over, but the market has lost its direction and is waiting for more news, especially any good news," said Kikuko Takeda, a currency strategist at Bank of Tokyo-Mitsubishi UFJ. The news, combined with Wednesday’s decision by the Reserve Bank of Australia, the central bank, to hold interest rates steady, helped nudge up the Australian dollar toward 77 cents against the greenback, outperforming other major currencies. Stronger growth may prompt the Bank of Canada…to raise its benchmark interest rate more than once this year after keeping it unchanged since [last] October. “With a declining yield spread against the U.S. we continue to favor selling rallies in the New Zealand dollar,” said a currency strategist at Bank of New Zealand. A senior forex strategist said that inflation was just 1.3 per cent if energy and transport costs were stripped out. He argued that the Bank would be unlikely to hike rates in response to an energy shock unless there was evidence of this feeding through into second-round effects such as higher wage growth. Canada is undergoing a political crisis with potentially far-reaching implications. The investigation concerns members of the Liberal Party of Canada, who may have received kickbacks in exchange for lucrative advertising contracts. The most prominent member of the Liberal Party happens to be Paul Martin, the Prime Minister of Canada. It is distinctly possible that Canadian Parliament will force an ad hoc election to see if Paul Martin shall remain Prime Minister. "Political uncertainty may now be filtering through into foreign exchange markets," concurred Avery Shenfeld, senior economist at CIBC World Markets Inc. "We’re getting a lot of calls about the odds of an election in the next few months. It has forced the markets to put a political-risk premium into Canadian assets, whether it’s stocks, bonds or the currency," he said. Automakers outside the United States have born the brunt of the exchange-rate damage, but they shrugged off the currency effects in interviews this week. That’s because most remember that last time the dollar was weak, their factories were mainly overseas. Since then, many have opened factories in the U.S.
A recent survey attempts to identify the most important people in foreign exchange markets. Topping the list, unsurprisingly, is Alan Greenspan, chairman of the US Federal Reserve. The USD is the world’s reserve currency, and Greenspan largely determines US interest rates. However, Greenspan will be stepping down in less than one year, and Ben Bernanke is rumored to be his replacement. He is an advocate of ‘neutral’ interest rates, and increased monetary transparency. Jean-Claude Trichet, president of the European Central Bank, is probably the most influential foreigner. Although his past has been characterized by scandal, Trichet has earned the respect of most of the EU for his leadership during the transition to one universal European currency. Trichet is known for predicating monetary policy decisions on inflation expectations, rather than on economic growth. Accordingly, most economists agree that EU rates will continue to climb. Herve Gaymard, French minister of finance, has also achieved notoriety for his loud criticism of the weak dollar. He is encouraging Asian and European Central Banks to intervene and stem the dollar’s decline. Gordon Brown, chancellor of the UK exchequer, is probably as important more popular than Tony Blair, and a fiscal conservatist. He has managed to contain government spending, and prevented tax rates from increasing. Finally, Alan Bollard, governor of the reserve bank of New Zealand, has also achieved prominence, as New Zealand’s interest rates are the highest in the developed world. 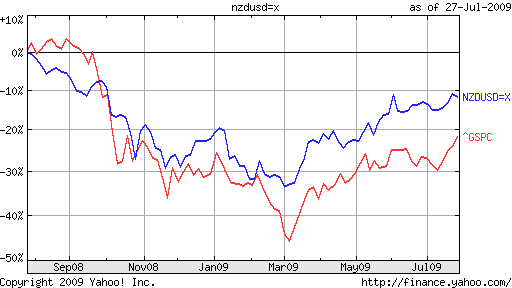 As New Zealand’s economy continues to grow, so may its interest rates. Nevertheless, the MPC is likely to keep rates on hold in the coming months as more evidence of sub-trend growth is likely to appear. A possible rate cut will crucially depend on the next Chancellor’s fiscal policy. A tighter fiscal stance could pave the way for more monetary relaxation, but such a change can for the moment be ruled out. What looked like the long-awaited rebirth of the US dollar at the start of this year appears to have been a false signal. Investors, starved for yield elsewhere, are responding by recycling out of US dollar-denominated assets. 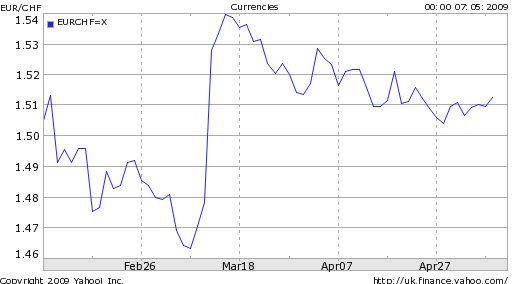 General USD movement…is problematic, as the economy is penalised by the stronger CAD, without benefiting from higher demand for Canadian products. Read More in a report published by Mellon Financial.